If you are looking for your next auto, we would like to help you find it and Save money! Specializing in Hondas, Toyotas, Jeeps and cars in the $10,000 and under range. Great for students, commuter, and every day use. We have been family owned and operated for 28 years and would love the opportunity to get you into your new car today. We have a great selection of previously owned autos for you to browse that have passed IM and Saftey. Call today and make Affordable Auto Sales your primary destination for quality automobiles. 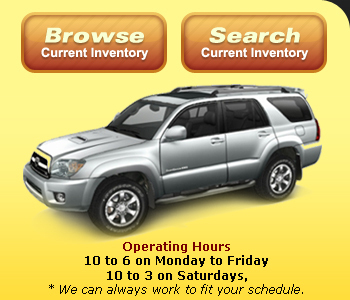 Affordable Auto Sales | Bountiful Used Car Dealer SLC has been visited 1,632,510 total times.